Lately, a lot of lip colors have been reviewed, unfortunately there’s one more left which shall be uploaded soon and you would definitely like it! 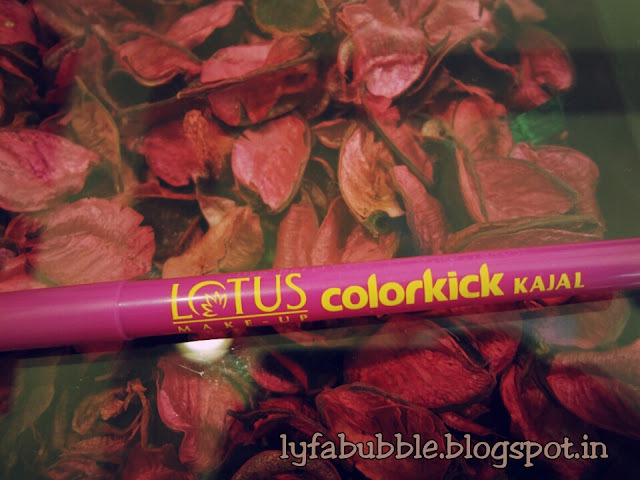 So to break the monotony of lip colors, I am uploading this blog post first on Lotus Color Kick Kajal. 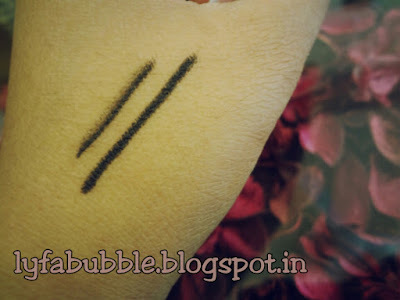 There are millions of roll on kajals out there in market, so you’d ask me why this one among others have been reviewed. 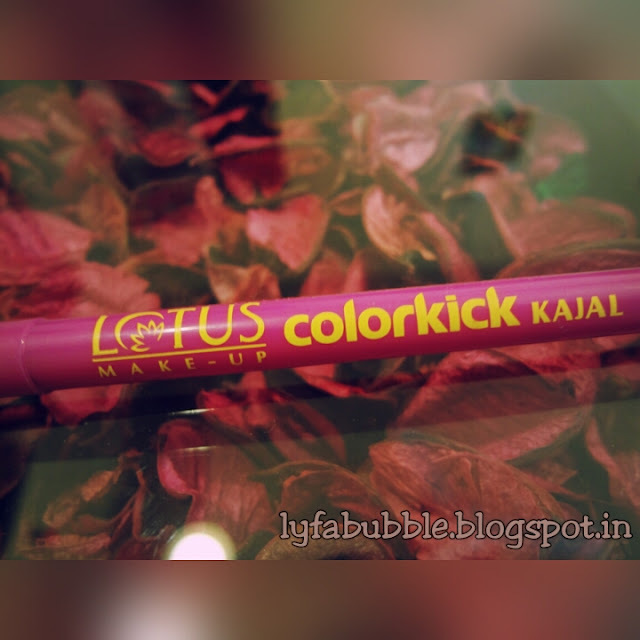 Well to be honest, Colossal Kajal didn’t match upto my liking, so I skipped on that. I wasn’t impressed with the intensity of Lakme Eyeconic as well. 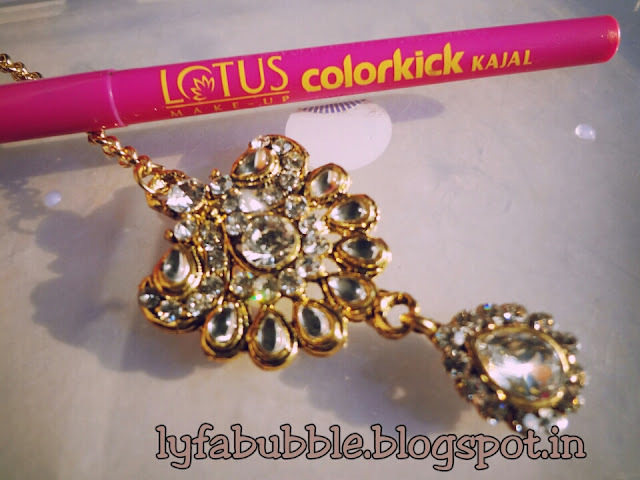 This is why it took me awhile to decide whether I wanna get disappointed again by investing on Lotus Kajal, or shall I simply forget that it got launched. 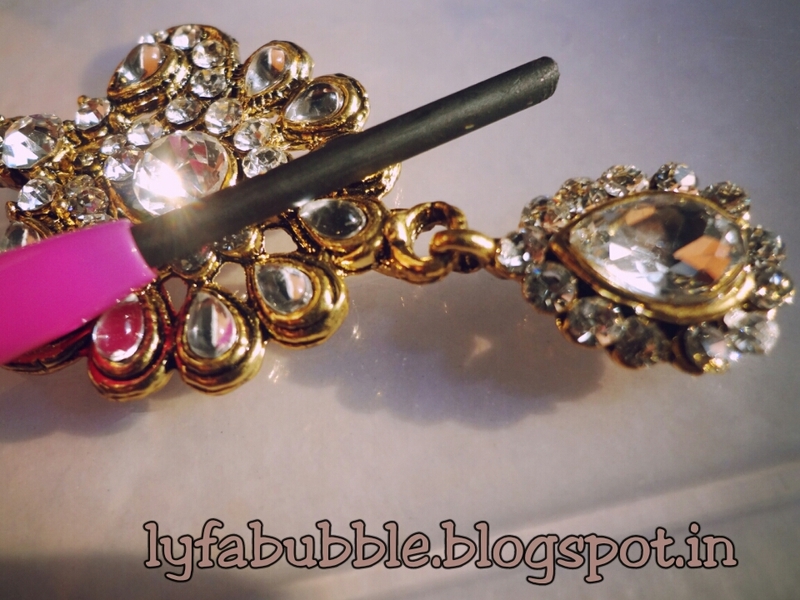 Fortunately, my close friend one day was applying this kajal in front of me in college washroom, and that’s when I realized that I was missing out on one of the good intensity kajals. Not to my astonishment, I got it that evening itself. First of all, it has great pigmentation and color intensity, which is what, has taken my heart away. 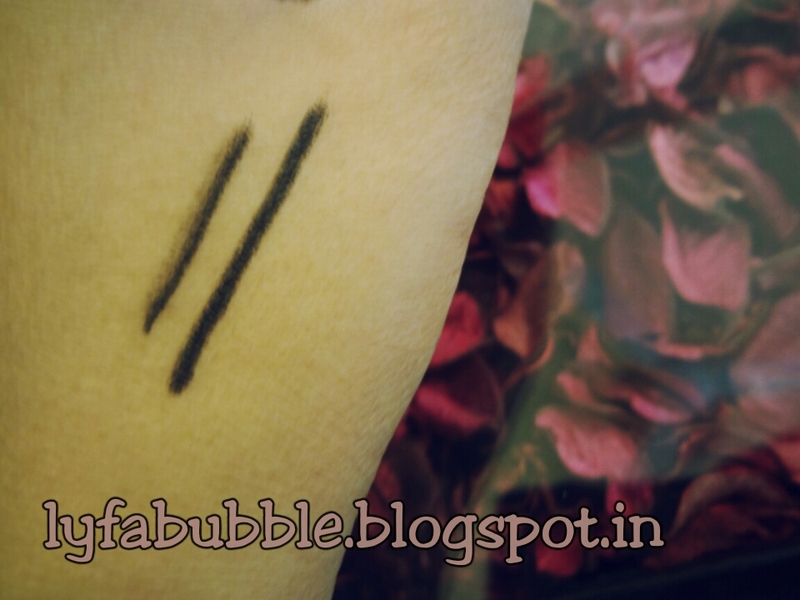 The texture of the kajal is quite soft and easy to work with. 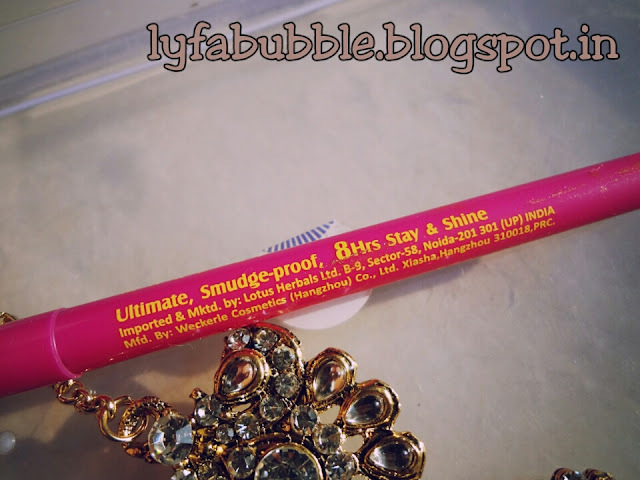 It retails for Rs 199. 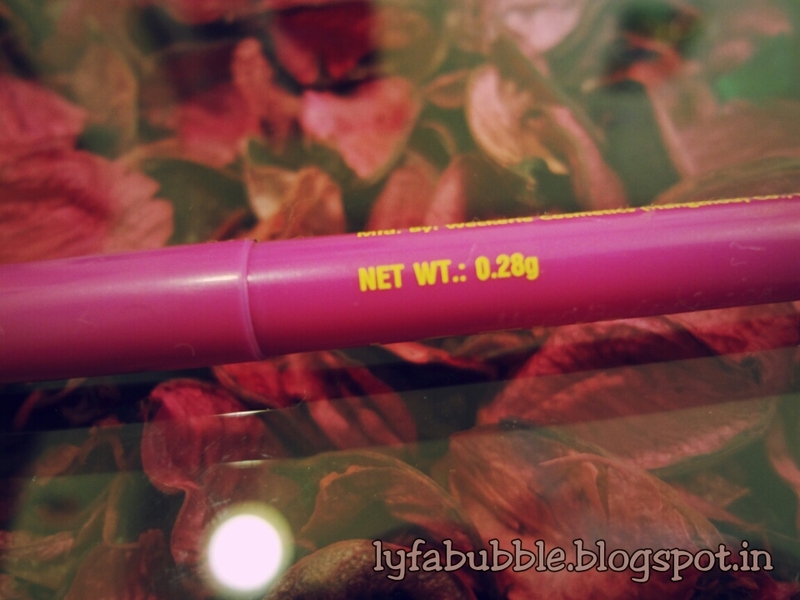 The packaging is quite girly. By the way, I had used “quite” quite a lot in my exam today, and I feel guilty for that! Enough of the digression, this kajal stays for 6 to 8 hours (upper eyelids) and isn’t too easy to get smudged off.